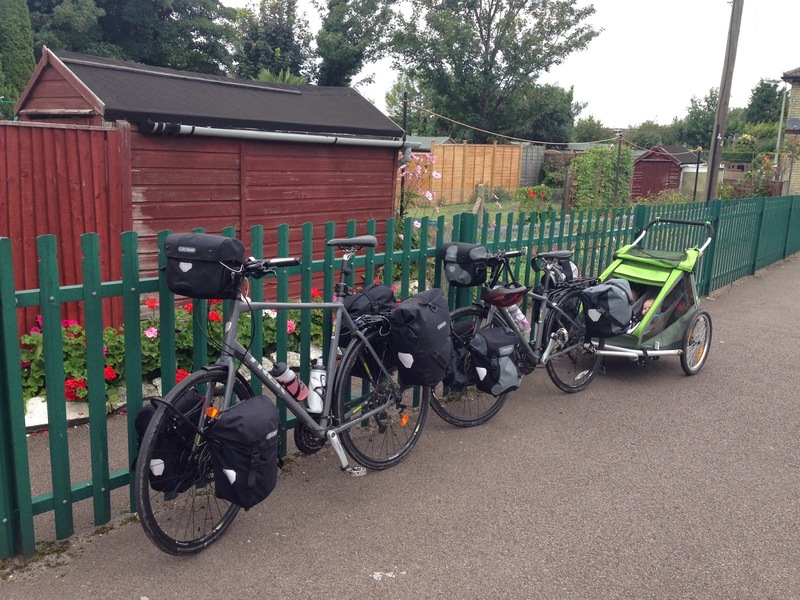 The Family ByCycle have packed our gear and done a shakedown ride to visit Tom's Grandfather, ahead of setting off on our first adventure. Ortlieb 'plus' panniers are sticky. Shoving your stuff to the bottom is trickier than it looks! Stuff sacks are not always helpful. 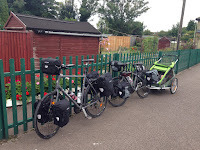 Trying to pack five sleeping bags and mats into two sets of panniers was always going to be a challenge: it proved impossible for as long as the bags were all the same cylindrical shape. Baby sleeping bags are made of cheap material and don't compress anywhere near as well as adult bags. 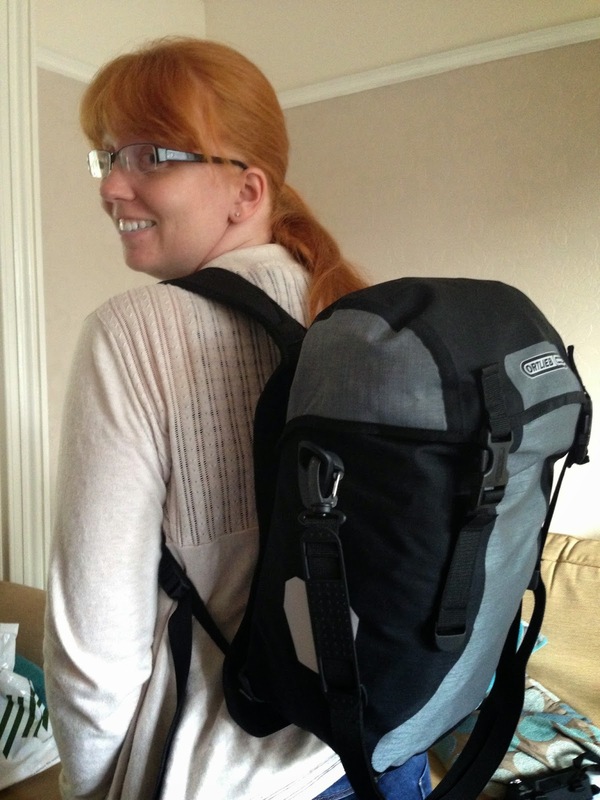 We have seen other people suggesting buying adult bags and re manufacturing them to baby size. With a bigger budget, I think we would start again and crack out the sewing machine. We've elected to push them into the bottom of the panniers to take up the gaps in between the other items in their stuff sacks, as a compromise to make best use of space. Buy loads of re-sealable food bags and use them to repack practically anything to stay organised without adding lots of weight. 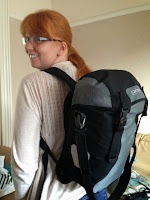 The Ortlieb 'rucksack adaptor' looks like a very handy bit of kit (see picture). We rode 20 miles fully laden, and got back to the car and packed up before it lashed with rain, so we're calling that a success. Our daily mileages for our first trip won't be much more than 20 miles, given the ages of the children.